Ricky's Spanish-speaking mother arrives for a visit while Lucy is in the middle of her apartment-cleaning chores. Moments after the unexpected arrival, a cablegram from Mother Ricardo appears. Lucy: "It's in Spanish, but I have a feeling you're arriving today." 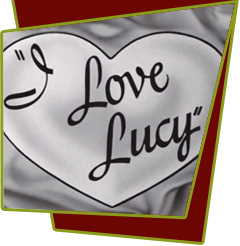 Lucy tries hard to make her mother-in-law feel welcome, but her efforts meet with disaster at every turn. She burns the arroz con pollo dinner, loses her in-law on the subway, and scorches one of the woman's dresses. When Ricky makes plans to invite some Cuban friends to the apartment that evening, Lucy realizes she will be unable to converse. Therefore, she employs Professor Bonanova, a mind reader who uses tiny mikes to perform his nightclub act, to translate the espanol for her. At the festive get-together Lucy manages to speak fluent Spanish, much to Ricky's astonishment. Everything goes smoothly until the professor is forced to depart suddenly, robbing Lucy of her bilingual talents. Special Notes: William Asher was nominated for the 1955 DGA Award for "Outstanding Directorial Achievement in Television" for this episode. Bloopers: In the scene where the mind reader reveals Lucy's childhood nickname, the closed captions say "Bartlett", what he really says is "Birdlegs". While translating English into Spanish, Desi mistakenly says "I got my fingers crossed," instead of the line ("I got my wires crossed"). Lucy couldn't resit pointing out his error, resulting in an unscripted on camera exchange between the two.